Today, I'd like to introduce you to Alyssa Padgett. 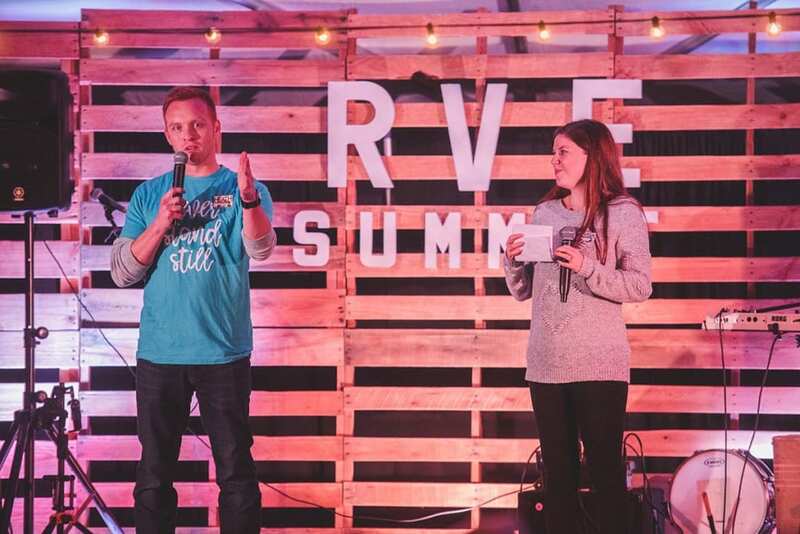 You probably remember her from How This Couple Bought an $11,500 RV, Traveled To All 50 States, and Built A Thriving Business. 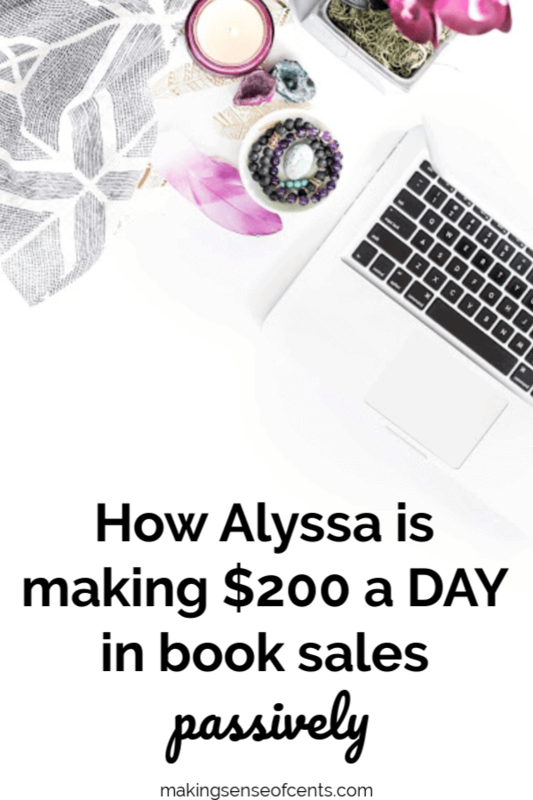 Alyssa self-published her first book and has sold more than 13,000 copies. 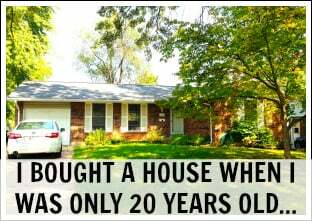 She is now earning a great passive income of over $200 a day from her book ($6,500 last month alone!). 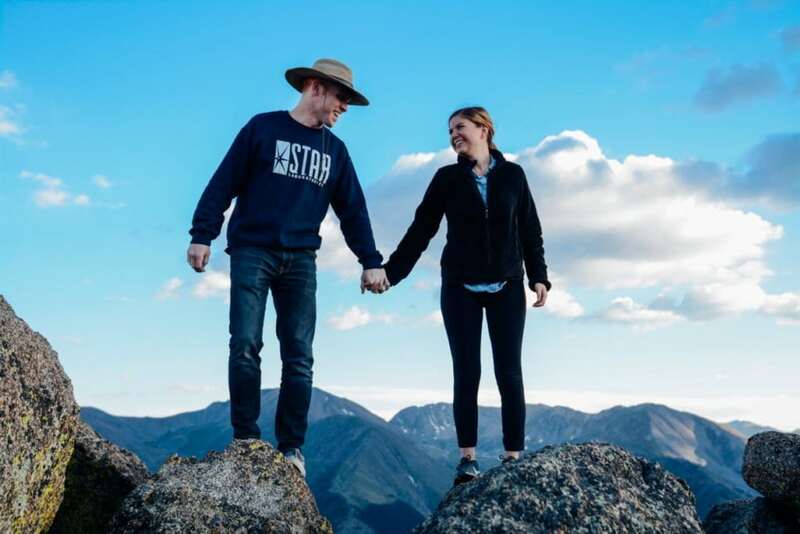 She and her husband are currently full-time RVers, making a living, and documenting it all. They blog over at HeathandAlyssa.com, and I'm a huge fan! Not only have I been on their podcast (How Michelle Makes Six Figures from a Blog While Full-Time RVing), we’re also friends. In 2014, they quit their jobs, purchased a motorhome, and went on a year-long road trip across America. They worked jobs in all 50 states for a documentary they filmed called Hourly America. 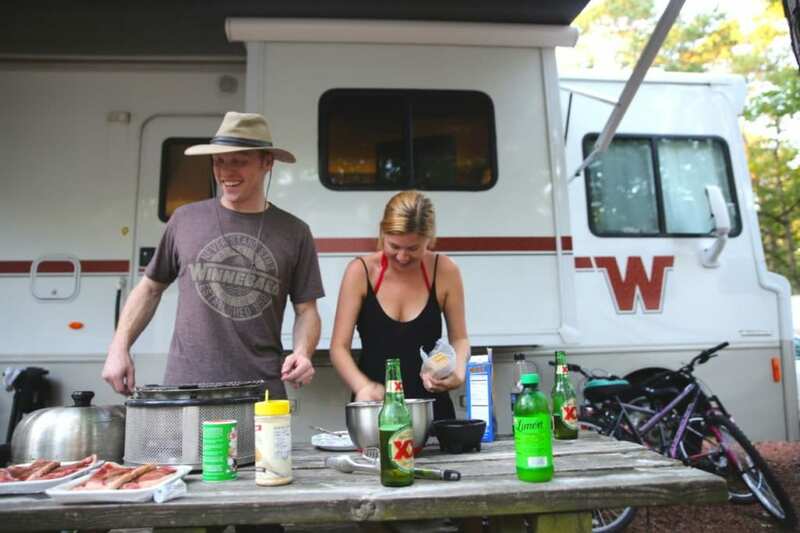 After a year of living in an RV full time, they realized RV life was for them. 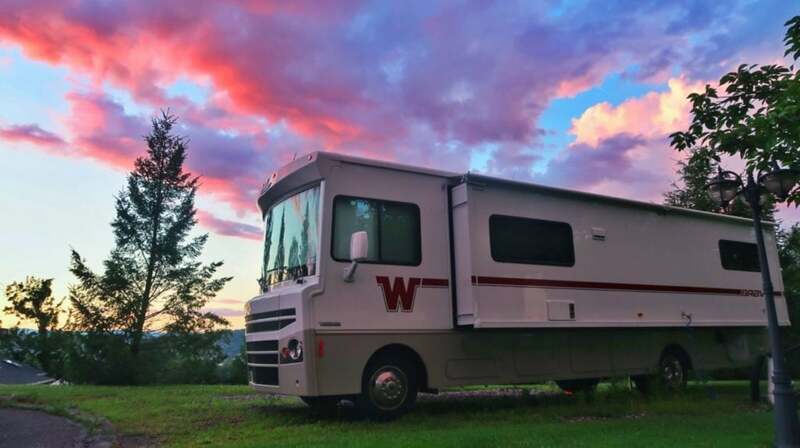 They worked to pay off a bunch of debt, built up their video production business, and they still love RV life. 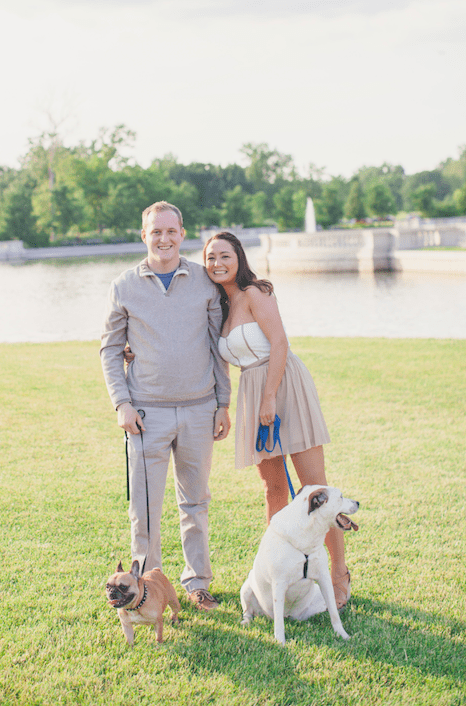 Alyssa is a film producer, travel blogger, and the chief navigator and co-pilot of their Winnebago. She directed and produced Hourly America, a documentary film about their 50 state honeymoon, which was featured on CBS, CNN, Fox, People, Yahoo, Huffington Post, and more. Alyssa is the author of the best-selling book A Beginner's Guide to Living in an RV, a book about how anyone can start traveling full time in an RV. 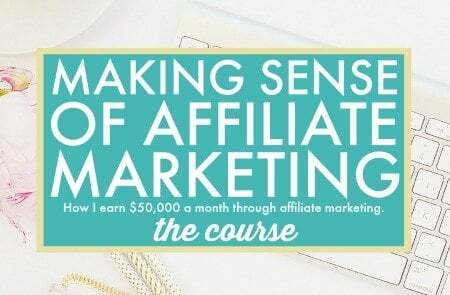 You can check out her super informative course by clicking here. 1. Tell me your story. Who are you and what are you sharing with us today? Thanks Michelle! I’m the shorter half of HeathandAlyssa.com, a blog my husband and I run focused on the RV lifestyle. We started RVing four years ago, when we came up with the dream to visit all fifty states on our honeymoon. 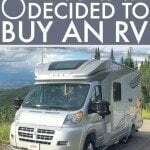 An RV was the most economical way to make our dream happen (at least the most economical way that didn’t involve spending our first year of marriage sleeping in a tent), and we quickly fell in love with the RV lifestyle. After only a month of full-timing, we made the easy decision to full-time travel for as long as possible. That meant we had to figure out two things: how to make money while traveling and how to pay off our student debt. 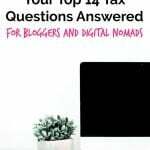 We’ve spent the past four years trying everything in our power to make money on the road, including starting a video production company, speaking at events, filming a documentary, learning how to make affiliate income (shoutout to Making Sense of Affiliate Marketing for teaching me everything I know), finding sponsors for our podcast, hosting a conference, and most recently writing a book. Today, I want to share my success with writing a book for a few reasons. 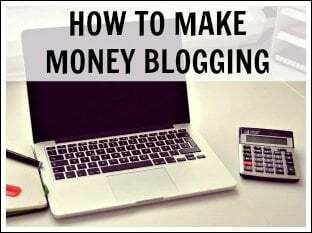 First, as a blogger, writing a book is basically the number one suggestion out there for how to monetize your site. 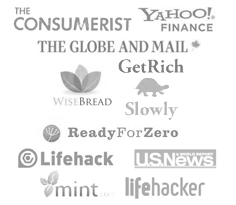 It establishes your credibility, gives you authority, and is a great first paid product. Second, writing a book is a lifelong dream for most people (myself included) and it’s a huge undertaking. Step 1: They write a book. Step 2: They send one email about the book and post a couple links to the book on the website, selling it through some nondescript ecommerce plugin. Step 3: They freak out over selling to their audience or getting negative reviews and promptly never market the book again. I spent months begging Heath to properly market his book, and finally he admitted to me that he didn’t think it was good enough. So he never pushed marketing it. It broke my heart to see how many hours he spent working on this book— he’d dreamed of writing a book since before we met— and not giving it the chance it deserved. Of course that’s when I had my own lightbulb moment because as much as I wanted to write a book, I was stuck in the earlier stages, scared to finish and publish anything at all. 2. How and why did you decide to write a book? I decided that I would one day write a book when I was six and had just learned to read. I remember the moment so distinctly. I loved reading, and after reading a book about a clown at a circus, I remember thinking to myself, seriously? I could write a book better than that. I don’t know why that moment is burned in my memory, but for years if you asked me what I was going to do when I grew up, I was going to write books. Fast forward twenty years, watching Heath write and publish his book inspired me to finally pursue my own book. I had author friends, but I hadn’t seen behind the scenes of writing a book before. I watched him work through the process, making it up as he went along, and I realized for the first time that what really held me back was that I didn’t know the right steps. I knew how to write because I’d spent years blogging, and I knew I wanted to write a book all about RVing because our audience was begging for it. But tackling self-publishing would be a whole other beast. I kept getting caught up in the best software to write a book, which file format to use, and which platform was best for selling the book. Supposedly, self-publishing was easy, but I didn’t know where to start. Finally, I sat myself down and said if I really wanted to publish a book— if this was really my lifelong dream— then I needed to spend just as much time writing it as I spent learning how to publish it. Perhaps it seems obvious, that you need to do more than just write a book. You need to learn how to publish, launch, and market it. But, I think that’s what we missed with Heath’s book launch. He focused so much on the content. We never thought about learning the industry, learning the tricks of the trade, and most importantly learning how to get on the most trafficked ecommerce site in the world: Amazon. I decided writing my first book would be an experiment. I didn’t expect it to be perfect or a huge success. I was focused more on learning how to do the whole process right. 3. How long did it take you to write? When I wrote the first draft of the book, the words blazed out of me in about a month. I was surprised that I was able to get all the content written in such a short time, but writing the first draft is the easy part. It’s getting the courage to share the book, gather feedback, edit, iterate, and preparing to publish the book where things get dicey. After I wrote the first draft, I wanted Heath to read it and give me feedback. But, when it came time to send him the file, I chickened out. I was too scared to hear how terrible it was! When I finally re-opened the file to work on it again—around when I started giving myself a pep talk about how learning how to self-publish was just as important as the writing itself— I found that I loved writing the book itself and words flowed easily. Equipped with enough determination to publish the book this time, I finished writing the book, getting it reviewed and edited, and getting an export of the book out to early readers in roughly two months. I then spent three months working on learning KDP, or Kindle Direct Publishing, which is how you self-publish a book on Amazon. End to end, from starting the book to publishing it on Amazon took me 18 months, but most of that time was not spent actively working on the book, instead actively working on being terrified of publishing a book. If you pretend that I didn’t ignore my book for a year in fear (which I would personally love to forget), then I wrote and published the book in six months. 4. Did anything scare you about writing a book? Pretty much everything about writing a book scared me. I think there’s this expectation as a blogger that everything you do has to be successful. At the least, I know I put that pressure on myself because we intentionally make so much of our life public. I knew that with launching this book, if it didn’t go well, I would be a very public failure. That thought lost me a lot of sleep. Fortunately, that fear pushed me to devote an obscene amount of time to validating the book, which meant sending free copies to readers, gathering their feedback, and improving the content of the book. I think, ultimately, this has helped my book sell better long term because I focused so much of my energy on publishing the best possible RVing book on the market. I think I had this very wrong idea about book publishing that you can just write what you know and that would be good enough. But in this step of the process, I really learned the power of research. I asked readers to tell me, based on the first draft of the book, what lingering questions they still had or what they felt I missed. Armed with their comments, I spent days reading other RVing books and articles researching more answers to all their questions. Previously, I was so focused on just sharing what I knew that I literally hadn’t thought to look deeper. For example, I had a section on how the propane tanks worked on RVs. But, I had a dozen people tell me what they really wanted to know was how to safely use the propane tank. Once I read their comments, it seemed so obvious! Of course I needed to include propane safety! We even had a great story about a propane leak I could use. It was a great example of how you forget what you know. So in the end, my deep-seeded fear of writing a terrible book really enhanced the book’s content and taught me a lot about the power of validating your book before you start writing. 5. Can anyone write a book? I’d like to think that anyone could write a book, but I think the real question is: who can write and successfully publish a book? Theoretically, anyone who can write can write a book. But, there’s so much more that goes into publishing a book than just writing! 6. How much can a person expect to make from a book? How much you make is directly tied to your efforts as the author. How big is your audience? Are you continuing to grow your email list? Do you actively promote the book to new audiences? How much are you willing to spend to promote the book? There is a visible difference in my book sales in January, when I did nothing to promote the book, compared to March, when I ran a promotion and did events, compared to this summer, when I ran ad campaigns and promotions continuously. Another major factor is how many variations of your book you sell. 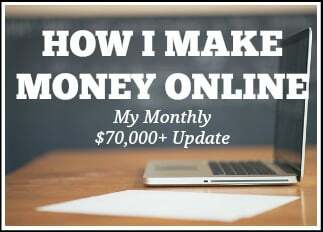 With just the ebook, I make $1,000/month. Which exceeded my expectations by a mile. 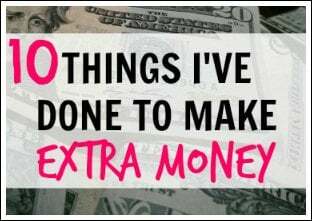 That was life-changing passive income for me! But once I launched my paperback (three months after my ebook was launched), everything changed. My ebook sales remained steady—despite the fact that book sales typically decline month over month—and the additional income from the paperback meant I was now making $3,000/month on average. That’s when I really started strategizing about how to sell the book long term. Everything I read pre-publishing my book said your first three months will be the best months, and sales peter out over time. So, I was mentally prepared for that average. But, I started to wonder how I could defeat those odds. So far, I’ve experienced the complete opposite—my book has sold twice as many copies during months 7-9 as it did during months 1-3. This is in part due to the fact that I waited to publish my paperback until that three month period passed, which I read could “reinvigorate” sales. I had never intended to publish a paperback, but requests from readers, plus reading that having two options could increase overall sales, convinced me to publish the paperback. Based on my experience now, all authors should offer their book in ebook AND paperback form! Now that I have the ebook and paperback formats for sale, my monthly sales have risen month over month for the past six months. 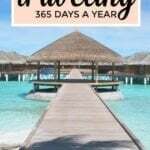 Last month I peaked and earned $6,500 from the book. So, while typically you make the most money during your second month of sales, my best month has been month nine! Based on my research, this is atypical, but also a good lesson that books sell better when you offer multiple versions of the book and actively work to promote them. I primarily use two strategies: I run promotions offered directly through Amazon once a quarter, and I keep a running AMS campaign—that’s Amazon Marketing Service, AKA how to run sponsored ads for your book—that on average sells an additional 3-6 books every day. 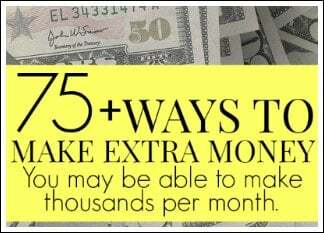 With those two strategies in place, I increased income from earning around $100/day to over $200/day last month. But, the problem with extrapolating my numbers to figure out how much another could make with a book is that the average self-published book supposedly only sells 250 copies in its lifetime. I’d like to think that this discrepancy is largely due to the fact that most self-published writers focus more on writing than marketing the book. If you want your book to sell well, you have to be willing to put in the same amount of hours into your launch and long-term marketing plans as you do into writing the book. 7. Is self-publishing a good idea? Unless you have a large online following already (10K+ on your email list) and have publishers reaching out to you, I think self-publishing is the way to go. In addition to having 100% ownership over your book, you can get it to market quickly and control the end-to-end process. Traditional publishing almost always takes a couple years and you end up with a lot of hands in the cookie jar. Plus, for traditional publishing you have to write and send out a lot of book proposals, which sounds like a nightmare to me! I think for most people, self-publishing is a great route. There are less barriers to entry and you have complete control over your product. 8. How did you market your book? There are two halves of marketing a book: launching it and marketing it long term. I already mentioned a couple of the ways I’ve marketed the book long term, but one interesting thing I’ve learned about Amazon is how your first month’s sales heavily impacts your long-term sales. Based on my research, the better your first month of sales, the longer your book will sell on Amazon. 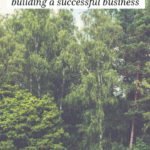 So, I focused my energy on creating a launch that would sell the most books possible. My launch plan had five essential parts: gathering influencer reviews, creating a launch team to promote and review the book, selling the book for free, leveraging relationships with brands, and emailing my list. Most of those strategies are straightforward, but while it seems counterintuitive, giving away the book for free (initially) was the most effective part of our launch. If you enroll your book in KDP Select (this is the program that allows readers to borrow books through Kindle Unlimited and Kindle Owner’s Lending Library), then you have access to two of Amazon’s promotional tools: Kindle Countdown Deals and Free Book Days. On free book days, KDP sets your book price to $0.00 for 24-hours on the day(s) you choose. I chose for my launch day and the next day to be free days, so my book was free for the first 48-hours it was on the market. Even though I didn’t make a cent from the 3,000+ books I sold in those first 48-hours, Amazon counts each book as a sale. So in the eyes of the Amazon algorithm, I sold 3,000 books in two days, and you want to sell as many books as possible—free or paid—in that first month. There are of course a ton of other factors that will influence the Amazon algorithm—choosing the right keywords, customer reviews, and sales rank to name a few—but number of copies sold in the first month seems to be a big one. After that first month, I used up my five free promo days (you’re allowed up to five days per quarter), I toyed with the free book promotion tool again this summer. The free price only applies to the ebook price, so my paperback price stayed the same (at $13.99). I saw a huge spike in paperback sales on the free promo day and higher than usual sales on the ebook AND paperback on the days following the free promo as well. Whereas 40-50 books is an average day for me, after the free promo I would sell 65+ in a day. So, even though I gave away hundreds of ebooks for free on the promotion day, I would make twice as much as usual that week because of how it elevated sales. While I’ve tried multiple tactics to market my book, this has strangely been the most effective. Free days and the days following the free day are my best days of sales. I never would’ve thought that making the ebook free would make even more money, but it’s by far yielded the best results. 9. How should a person decide what to price their book at? 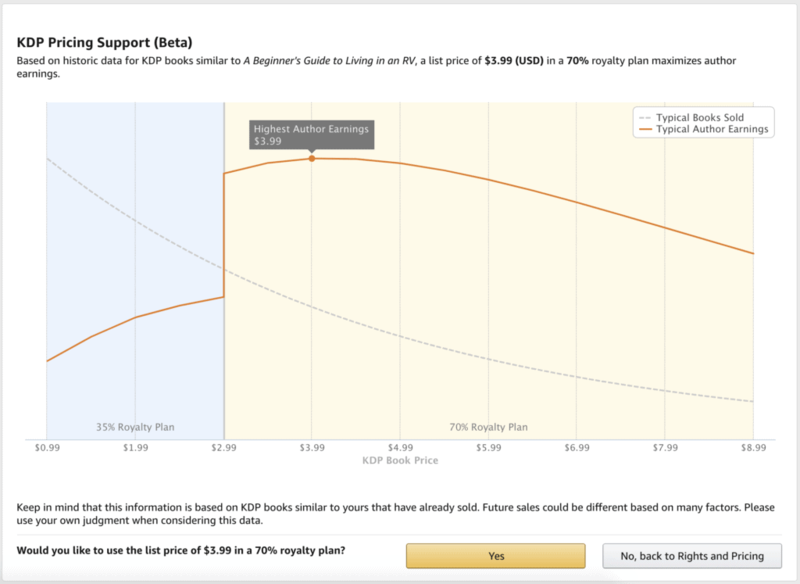 If you choose to self-publish with Amazon, pricing ebooks is easy. In addition to automatically being restricted to a $2.99-$9.99 price range set on your ebook (the price range is a lot more loose with paperbacks), Amazon offers Kindle Pricing Support. It’s in beta right now, but when you view the service, it tells you exactly what prices other books in your categories are selling the most copies at. It even will auto-set your pricing based on their research. I kept my book at $3.99 for a while based on this chart, but then I looked at it closely and saw that the $4.99 price point sold almost as many copies as the $3.99 level. I didn’t notice any negative effect on sales from this price increase. The good thing about Amazon is that you can change prices as often as you want and it only takes a few hours for changes to take effect. So if your book isn’t selling at your current price, you can change it by the end of the day. I’ve sold my book at $2.99, $3.99, $4.99, and now it’s set at $5.99. I realized with 200+ 5-star reviews, that I could charge prices higher than my competition and still outsell them because the reviews proved my book was the better product and therefore worth more. I came up with this theory while I was shopping on Amazon and noticed how the best-selling books seemed to always be a few dollars more than the competition. Since most of the competition I have is priced at $2.99, I was worried that the higher price point would kill my sales. Instead, ebook sales have remained steady, and I’ve made an extra $220 or so a month from the price increase. 10. Can you give a step-by-step process for writing and launching a book? Okay, I actually have a 85-point checklist inside my course From Blog to Book detailing the process of writing and launching a book, but I’m going to simplify it here so your brain doesn’t explode. Step 1: Figure out your book idea and validate it with your audience. I would spend at least three weeks at this step, surveying readers, examining your most popular blog posts, and gathering feedback. Step 2: Mind map and outline your book, utilizing the feedback you’ve gathered. Step 3: Write your first draft! Step 4: Edit your first draft ruthlessly. Re-write it. Edit it again. Re-write. Edit. Send to an editor, if you can afford one, or a proofreader at the very least! Step 5: Set up your Kindle Direct Publishing account and start creating your book page. At this step, you’ll create your book cover, land on a final title, write your book description, set pricing, etc. Step 6: Start creating your launch plan. 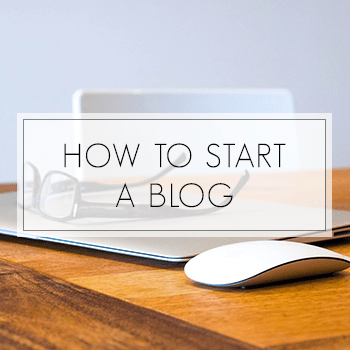 I recommend starting with reaching out to influencers for endorsements, creating a launch team, and making a list of places to write guest blogs to promote the book. Step 7: Run through final edits of your book. Export and upload a copy into KDP and use their previewer to do a final review of the book and it’s formatting. Step 8: Tease your book release as much as possible in the 2-3 weeks pre-launch. Make it available for pre-order on Amazon. Post excerpts on your blog. Email your list garnering anticipation for the launch. Step 9: Launch! Email your list, post on social, and get your book in front of as many eyes as possible. Instruct your launch team to do the same, so there are links to your book all over the internet. Step 10: Take a nap cause you’ve earned it. Step 11: Create a long-term sales and promotion strategy. Michelle's note: Just sign up for From Blog To Book! 11. What's the top tip you have for someone who wants to do this? Decide how badly you want to do it. I spent years saying that I was going to write a book, but I was not taking action because I let the fear overwhelm me. But, I so badly wanted to be an author. I craved holding a book in my hands and feeling that sense of accomplishment. Because I wanted it so badly, I devoted hours and weeks to researching the best way to make it successful. I took pages of notes with links to articles on how to run the free promos and how to game the algorithm and how to write a book description. Doing the research was not fun, but it made my book successful. So, I would say my top tip would be to decide how much you want it and what you’re willing to do to make it happen. Late nights, research, shedding tears thinking your book is going to be terrible, freaking out when you forget to hit save and lose hours of work, getting over the fear of selling to your audience—there will be plenty of chances to get stuck and not get your book to market. But on the other side of clicking publish, I’ve realized a lot of those fears I had didn’t happen. I created something that our community found valuable and filled a need in the market (plus, my six-year-old self would definitely give me kudos for finally following through on my dream). 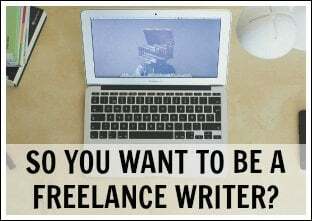 Are you interested in writing a book? Why or why not? I absolutely love this post! So thought provoking about the reality of what goes into creating a successful book. I especially love that Alyssa admits that there were so many things that scared her about the process. I think we can all learn something extremely important from that! Wow. Alyssa, thank you so much for sharing your detailed account of this process. I can 100% relate to that fear of failure and being ridden with insecurity regarding your work. You did an awesome job pushing past your fears and using your fear to make sure your product would work. 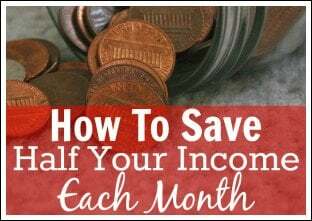 I think the piece you mention about ensuring you spend as much time marketing as you do writing is so overlooked among writers, whether they are self-publishing books or writing blogs. It’s one of the key pieces I am learning right now. Thanks again for all of your amazing insights! Thank you! I’m glad you enjoyed the interview 🙂 Marketing really is so overlooked, but it’s so valuable! Nice work. I’ve got a book on Amazon.com about how we dumped over $120k in debt, but haven’t promoted it well. It thinks it’s time to revisit! Please do, because I would love to hear how you did it. 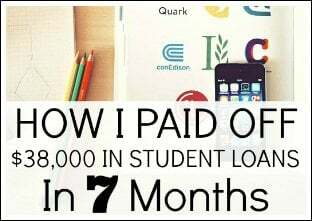 This morning I checked my student loan debt and it’s officially doubled because of interest since I graduated: $83,000!!! So funny ,, I was brainstorming book ideas this morning and got your email Michelle. What a great interview. Lots of my questions were answered. Thank you! Glad you enjoyed the interview, Craig! Good luck with your book!! Writers, like me, were born to procrastinate and we’re very very good at it. Thank you for sending me a nudge. Haha good at procrastinating for sure! 🙂 Glad I could give you a little nudge! For ten years I wrote unpublished novels – before finally giving up. Several years after that I found blogging and it has fulfilled the same creative need. However reading this post has made me think about those books, some of which I still love, and wonder if their is life in them yet. On the other side, my husband and I have just decided to purchase an RV which we are super excited about. While it is still in the two to three year time frame, I’m already researching all I can about how to make it work with our two griffon furbabies. Don’t give up on your unpublished novels! Amazon is a great way to publish them as ebooks and test out potential markets for them. Then if readers show alot of interest in them (or any of them) you can market beyond Amazon through other book sellers. Recently I have been learning about BookBaby, which helps authors to self-publish and sell books through Amazon as well as other booksellers. They have very reasonable prices for professional self-publishing which includes all stages from ebook creation and cover design to print-on-demand paperbacks and website design for your author website. 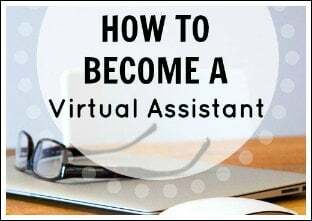 For beginning authors, they offer many free resources on their website: https://support.bookbaby.com/hc/en-us and https://www.bookbaby.com/free-publishing-guides. Also check out their Help section (scroll down to the bottom of the page). They even include comparisons between their services and other print-on-demand services such as Create Space and Hulu! Such a great and timely post. Thank you Alyssa for sharing your process and everything that went into it. I’m in the process of writing my first book on how to get started investing. This information is super helpful. This is a really informative post. Thank you for that! I wonder how do you interview your readers/audience? Most of the time people don’t want to waste their time and fill out a survey even if it’s short. The monetary incentive on the other hand always helps. I wonder if this is what gou did to interview your readers? I added questions to end of my newsletters when I wanted specific replies to an idea. But for the most part, I used the information from our Facebook group. We get a ton of the same questions posted over and over, so it was really easy to compile all those questions to outline my book. Alyssa, this is a fantastic post that was super inspiring to read! I think writing and publishing your book in just 6 months (minus all the time spent freaking out) is incredible. (I mean, 6 months? That’s insane!) 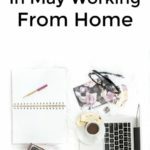 I’m a new blogger and I’m currently writing my own e-book to be given away for free to my subscribers. But it’s already been a whole month and I haven’t made nearly as much progress as you! I applaud your determination in fulfilling your dreams; it’s super admirable. Writing and one day selling my own book is definitely a dream for me. (Although I think that’ll be a while from now.) It’s crazy inspiring to read about how you did it, and how possible it is. I think your course will definitely be incredibly helpful. This blog post itself had so much information that I didn’t even know. Your writing has a way of inspiring people, which I really love. Will definitely sign up for your course when I’m planning on self-publishing 🙂 Thanks again, for the inspiration, it made my day! Aw thank you Liz! ❤️❤️ Good luck with your ebook! I needed to read this! I’ve hit an emotional bump in the road with finishing my ebook, and I’ve been wanting so desperately to get back on it but just haven’t been able to find the motivation. After reading this post I think I’ve found the fire in me again and I’m actually looking forward to getting back on track with this goal of mines! Thank you for doing this interview, and I’m so happy this course (From Blog to Book) exists! Will definitely be looking into it :). Here’s a question for Alyssa: Audience first? Or book first? Or is this irrelevant? I would say a lot depends on your goal. If you’re trying to establish your expertise in an area to propel your career or grow your business, book first is fine. If you want to be a blogger and a book is a way you want to sustain that lifestyle, then audience first! You can launch a book without an audience, but having your 10K subs will make life SO much easier. This was an interesting read for me because I wrote a book and it comes out in November. My experience is slightly different because I wrote a fiction book, but I’m sure a lot of the basic tips and information still applies. I totally get the fear factor, because I am TERRIFIED of releasing it into the world. Congrats on pushing through the fear and accomplishing your dream. Thanks, Cece 🙂 Good luck with your launch! Nice post. I recently finished writing my first ebook. It took about 6 months of solid writing and editing. Just a warning – if you’re going to start to write a book you need to commit to a regular amount of writing every day -> those pages will soon fly by! I have been thinking out writing a book but not to monetize but instead to grow my email list and credibility. I was thinking perhaps a 50 pg ebook as an email magnet. I’ve started to blog seriously the last 6 months and it’s been a ton of work. One day I wouldn’t mind writing and marketing my own book. Thank you for providing an insight to how much work goes into it. Great work Alyssa. I have 2 books on amazon as of now but they aren’t doing much as far as revenue is concerned. I got some important key points from this post which I am going to try out this week and see how things go. Thanks Michelle for sharing this great post with us.